At this time of the year, most people gather with loved ones and share what they are thankful for. A common list might include family, your home, a job, and good health. But have you ever been thankful for strange things? Things that, on the surface, wouldn’t make the typical Thanksgiving list? 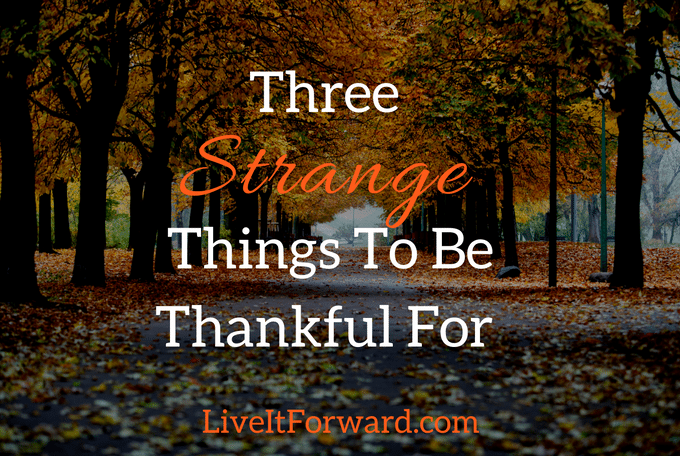 In episode 035 of The Live It Forward Show, Kent Julian shares three strange things that he is thankful for because of the focus they have brought to his life. Listen to this episode to find out how you, too, can be grateful for unusual things in your life.